Everyone taking birth in this universe wishes that god’s grace should remain in him or her lifelong. Almighty’s grace should protect him any crisis no difficulty should come in his life. When men and women in their old age happen to see people ailing they ask almighty for salvation. 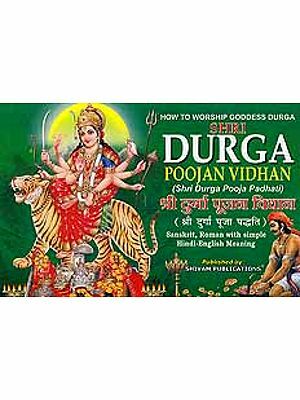 The sages of ancient times have laid out prayer rituals for the worship of the creator of the universe and his gods and goddesses. The custom is to worship five Gods Ganesh, Vishnu, Rudra, Surya and Devi like the five elements of nature. 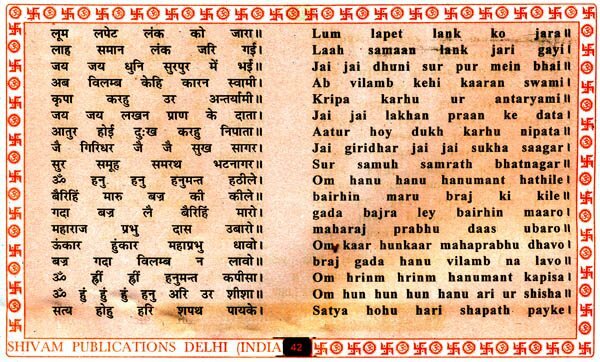 Ancient scriptures describe Lord Rama as Lord Vishnu’s Incarnation. Similarly Pavanputra Hanuman is called Lord Rudra’s Incarnation. 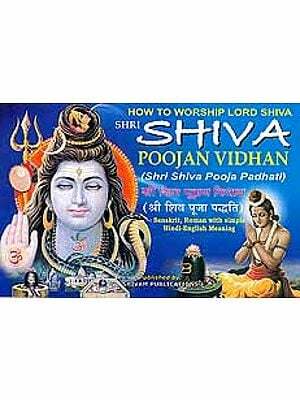 Rudra is a manifestation of Lord Shiva only. From the spiritual point of view the worship of Hanuman helps the worshipper to attain three out of the five of Brahma’s ansh Rudra Vishnu and Surya. According to the scholars the worship of Hanuman is of prime importance. 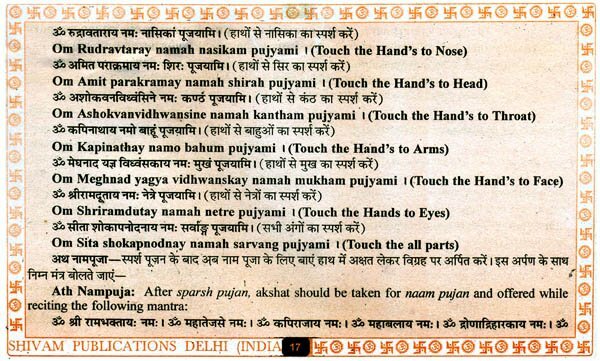 Ancient scriptures contain extensive description of prayer rituals for Hanuman. 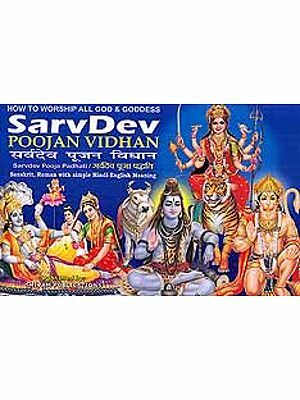 Agni puram skand puraan, Shiv Mahapuraan, Shrimadbhagawat puraan, Garud Puraan, Koorm puraan and Bhavishyat puraan especially focus on Hanuman worship and describe it as sure shot way to get rid of problems. Hanuman worship is customary in all parts of our country. 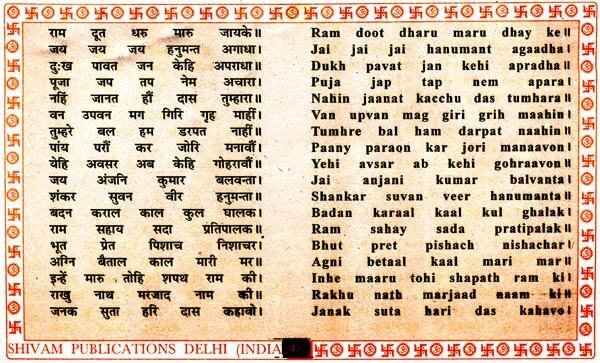 Tulsidas ji has created Hanuman Chalisa Doha (Couplets) chaupai, sankatmochan Hanumanashtak, hanumat stavan, Kavach and aarti for His worship. Hanuman worship has a special significance in astrology as well. 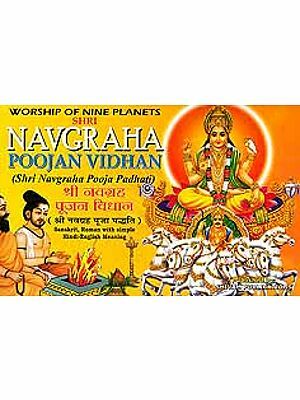 Hanuman worship is particularly effective in preventing form evil effects of Nakshatras. Various problems and difficulties created by the evil effects of Shani and Mangal can be destroyed by worshipping hanuman. 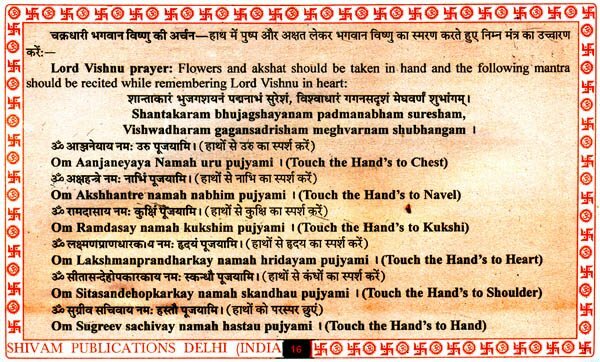 In this booklet prayer rites and rituals mentioned in ancient scriptures have been compiled. 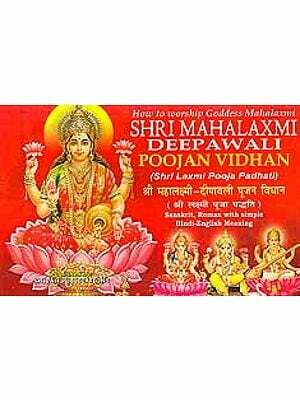 Ardent devotees of Shri Ram will benefit form this book by worshipping Lord Hanuman and getting rid of difficulties. Best wishes.